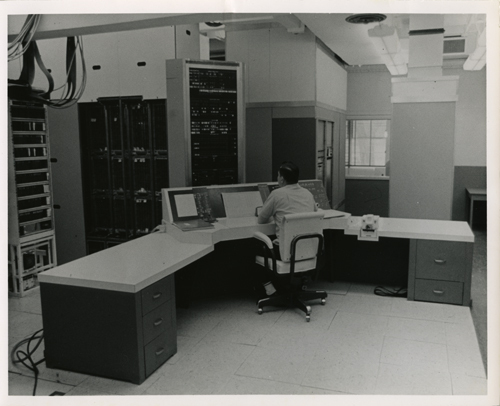 This is a black and white image of a man sitting down in front of a large white desk console and facing towards the ILLIAC II computer. Light is coming from the overhead ceiling. The ILLIAC II computer is on and has operating lights on. Written on verso side of image on left edge in pencil is "#1445".